Names and Meanings: Beginning with "Z"
Name of several Old Testament men. Son of Jashobeam. Military commander of 24,000 men. Father of Mulek and other sons. Last king of Israel before Babylonian conquest. Husband of Elizabeth and father of John the Baptist. Priest in Jerusalem. He was murdered under orders from King Herod. See Picture. City not far from ancient Shem (Cholula) in Mexico. See Picture. 2. Nibley aka Melek Zadok. 2. Nibley Son of Ahitub. Priest during the time of kings Saul and David. He anointed Solomon as king of Israel. Name that Pharaoh gave to Joseph upon being elevated to second position over ancient Egypt. This happened while the Hyksos ruled Egypt. Leader of Mulekite colony at Zarahemla. His people united with king Mosiah. Ancient Mayan city (aka Yaxchilán) in Mexico. Capital of the Nephite nation. 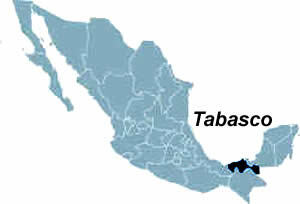 Land probably in the area of Tabasco State in modern Mexico. 2. Erickson Commander of Lamanite forces who battled the army of Captain Moroni. City in the Vale of Siddim. Sixth son of Jacob and Leah. See the 12 Tribes of Israel. Son of Jeberechiah in Israel. Husband of Elizabeth and father of John the Baptist. Priest in Jerusalem who later was murdered in the temple courtyard. Last king in Jerusalem, who died after a Babylonian invasion. Father of Mulek. Wicked lawyer in Ammonihah who repents and joins Alma and Amulek. Probably located at Lagunita in Guatemala. Joseph Smith reportedly said Zelph was a white Lamanite warrior chieftain who fought with Nephites and died in battle during the time of a prophet called Onandagus. He died at Zelph's Mound. 2. Erickson Leader of robbers circa 400 AD. Nephite military commander circa 400 AD. Father of king Noah in the land of Lehi-Nephi and Shilom (near Lake Amatitlan). Prophet in Israel during the time of Lehi. Canaanite city in the Negev Desert that Joshua conquered. Called Hormah in Joshua 12:14. 3. Tvedtnes Wife of Ham and mother of Egyptus and Mizraim. Inscription on a stone tablet between paws of the Sphinx at Giza. Marks rising of the Primordial Mound from water and where the Phoenix alights. Represents start of the first dispensation after flood of Noah. Twin son of Judah and Tamar. Brother of Perez. Lamanite military commander circa 74 BC. Nephite military commander circa 87 BC. Mountain that Mahonri Moriancumer removed through faith and priesthood power. Wife of Nebat and mother of Jeroboam, who became king of Israel. Governor of Persian province called Yehud Mesinata. He later built a Second Temple in 515 BC on the site of Solomon's Temple. One of Lamech's wives. She exposed him for murdering the young man who revealed Cain's secret society. Handmaid of Leah. Minor wife of Jacob. Mother of Asher and Gad. First son of Abraham and Keturah. Executed evil king Baasha of Israel and became king for only one week. Land of peace and righteousness. This previously existed in the past and will exist in the future. Examples: City of Enoch; Salem under king Melchizedek; Nephites after the resurrected Jesus Christ visited them. Father of Balak, the king of Moab. Wife of Moses and traveled with him to ancient Egypt. Ancient city of Tanis in the Nile River delta. Ancient city in the Vale of Siddim where Lot fled after the destruction of Sodom. Originally called Bela (Sweet). Aramean kingdom in south Syria. Ancient Egyptian 25,920-year cycle based on four Constellations: Aquarius (air); Leo (fire); Scorpius (water); Taurus (earth). See Facsimile 1-3. It reportedly began in 11,451 BC when the Sphinx was constructed and faced east towards Leo. Servant of Laban who joined Lehi's family. Father of Lehi, chief captain of Nephite military forces circa 81 BC. Nephite apostate and antichrist who started a religious cult. Nazarenes of Mount Carmel translation. Father of fathers; refers to Adam.